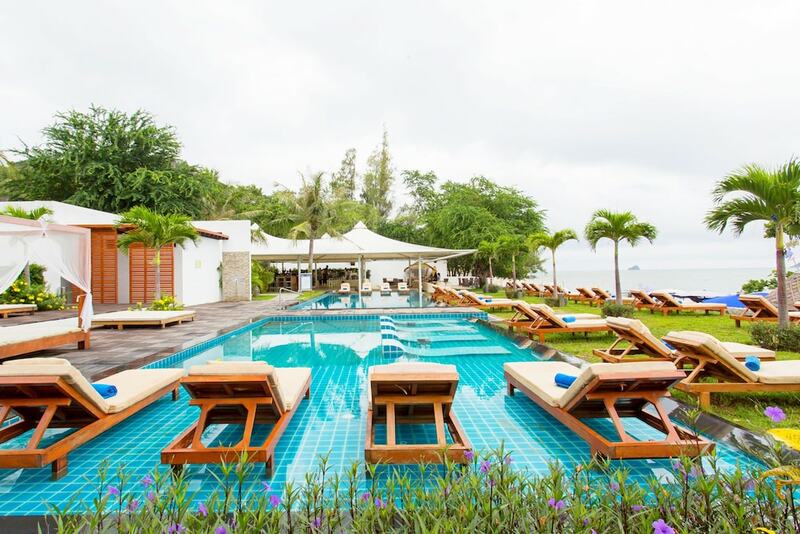 If you’re an avid beachgoer who enjoy the classic beach elements of sun, sea, sand and warm, clear waters, Pranburi is not going to disappoint. Throw in a beautiful setting against the backdrop of verdant forests, a national park with mountains and an estuary, and you start getting the picture. On route to Pranburi from Hua Hin – about a 30-km drive – you will pass several quiet bays which are good for swimming. South of Pranburi is Khao Sam Roi Yot (‘three hundred peaks’) National Park with its rugged limestone hills, part of the Tenasserim Mountains, which line the coast. These are full of ravines and caverns, some of which can be reached by the park's network of roads and trails. Whether you’re looking for a completely isolated and quiet spot or a place that offers water sports, you’re likely to find a piece of beach heaven in Pranburi. On the main beach there are some vendors too who ensure that you won’t go hungry or thirsty, while most resorts have direct beach access with activity programs and facilities for guests. Pranburi’s beaches are never really crowded – even on weekends when there’s a big influx of visitors from Bangkok. A ‘quick fix’ to quench your thirst or fill that gap between meals is well taken care of by beach vendors found on popular beaches. Snack-type meals typically consist of fresh fruit (sliced up in bite-sized pieces), deep-fried squid and shrimp, as well as other small delicacies. There are also some vendors who sell handicrafts, and ones you can rent beach chairs and parasols from. The vendors are cheerful and friendly, and seldom cause an irritation. Public facilities like restrooms and showers do not exist at any of Pranburi’s beaches. However, if you’re on the main beach there are restrooms close by at restaurants in the town or of course at resorts – the latter intended for the exclusive use of guests. Other than light snacks you can buy from beach vendors, your choices are limited to the restaurants of resorts and a few small Thai-style eateries that set up shop in some open areas along the beach. There are some fantastic seafood restaurants that can be found too, but these are not necessarily within walking distance from the beach. Heading to the village on foot from the beach is also not an option. Unless you plan to enjoy lunch at your hotel, a good idea might be to pop into the new supermarket in town to buy picnic eats and goodies. Pranburi’s beautiful and serene beaches are not only perfect for soaking in the sun and enjoying the scenery, but there’s also lots to do when you get bored – if not at the beach, certainly close by. Popular water sports and activities include canoeing, kayaking, snorkeling, speed boats trips, jet skis, banana boats, beach volleyball and football.